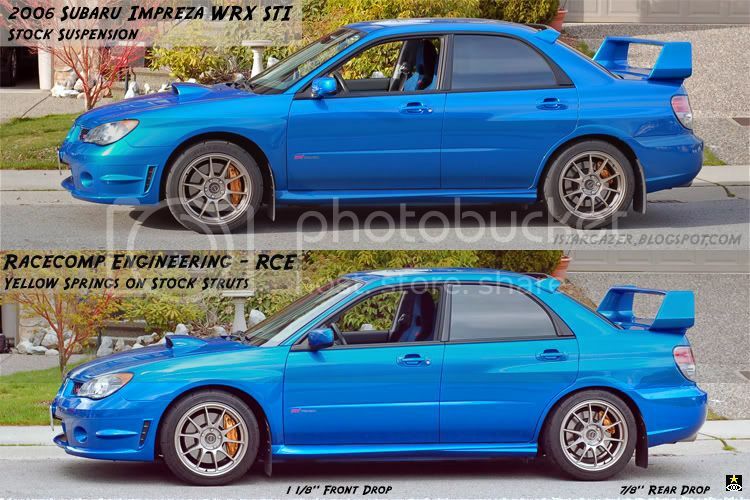 The STI stock suspension is actually about 1/2" lower on the right side than on the left. 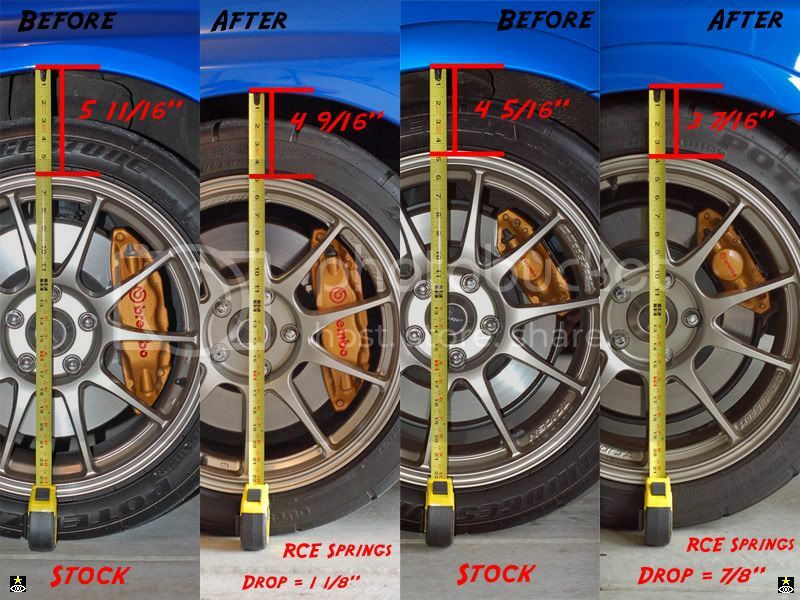 The RCE springs drop the car the same on both sides: 1 1/8" in the front and 7/8" in the rear. I guess the difference between left-right is to compensate for the driver's weight? Hmmm, good point. I hadn't thought about that. 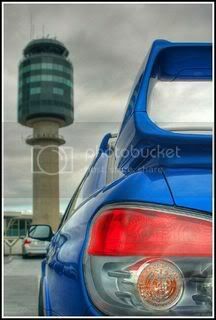 I just know that it's normal for the STI. I was rethinking this, and it would only apply if it was specifically designed for the right-hand drive market since that side is higher. Of course, they could have designed it that way for Japan, and let the rest of the world take it the way it is. Wait, so in Japan the driver is on the right side of the car? Wouldn't that mean in Japan the right should be *higher*, rather than lower, if they're compensating for driver's weight? 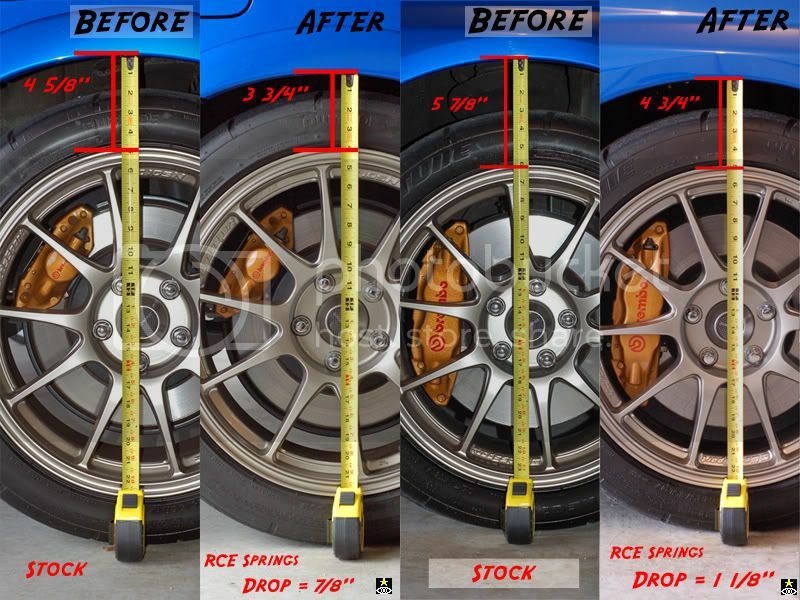 there are so many different factors that come into the suspension. compensating for the drivers weight is just one of the things you need to think about.